Item # 159466 Stash Points: 7,999 (?) This is the number of points you get in The Zumiez Stash for purchasing this item. Stash points are redeemable for exclusive rewards only available to Zumiez Stash members. To redeem your points check out the rewards catalog on thestash.zumiez.com. 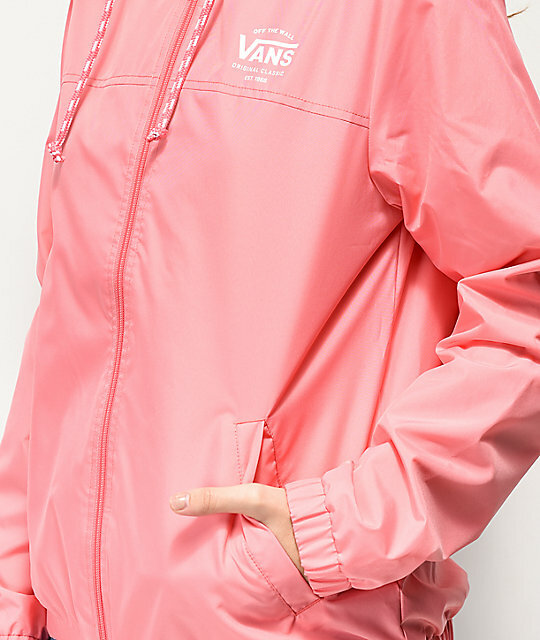 Stay protected from the elements with the Kastle II strawberry pink windbreaker from Vans. 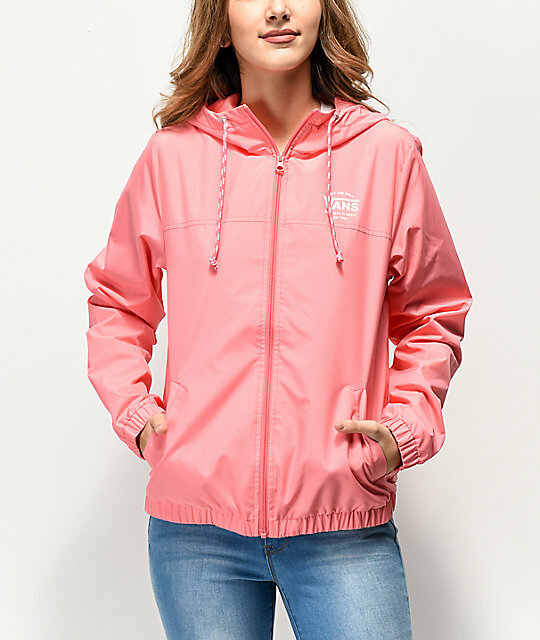 This jacket stands out in a crowd with the all pink colorway and pop of white in the 2 toned novelty hood drawstrings and Vans Drop V Off The Wall logo screen printed on the top left chest. 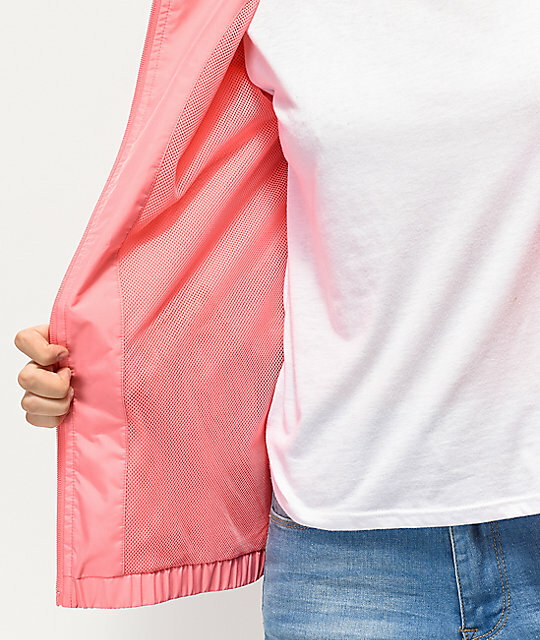 This 100% polyester jacket comes equipped with a mesh lining, hand pockets, and option to style open or closed with a full-zip feature. 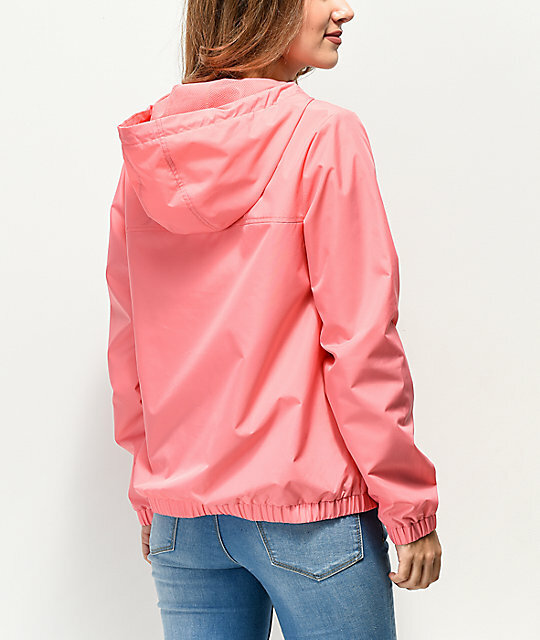 Kastle II Strawberry Pink Windbreaker Jacket from Vans. Vans logo screen printed on left chest. Length: 24" (61cm)from shoulder to bottom hem.